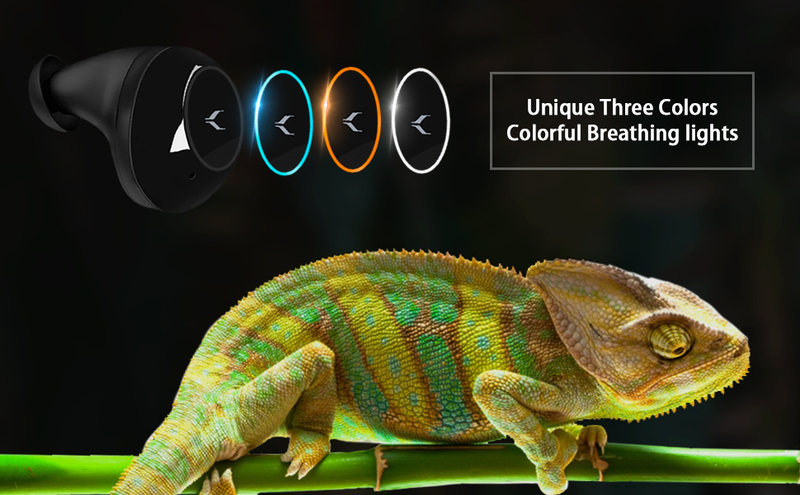 MYCARBON Unique Designed Earbuds: This is the only pair Bluetooth earphones on Amazon market today, which designed with 3 fashionable breathing lights: Blue, Orange, White. you can easily change the color according to your mood, season or weather. IPX7 Waterproof, no worry of rain or sweat, ideal for sports, running, cycling, gym, travelling and more. 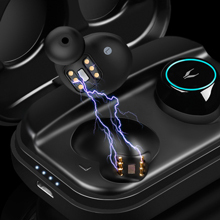 Auto Power on and Pairing: Advanced touch operation, no need to press any button to activate those wireless headphones, they can be automatically powered on and paired after taking them from the charging case, and automatically turn off after putting back in the case. 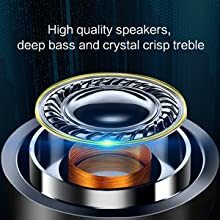 TWS HI-FI Stereo Sound: Those earphones built-in high-quality audio chip, upgrade super balanced Bass and premium vibrating diaphragm technology making you feel personally on the scene of music. Each pair earphones matches with 7 pairs ear buds, choose the right ear buds can help isolate surrounding noise, and more comfortable for long time use, enjoy your music world better. 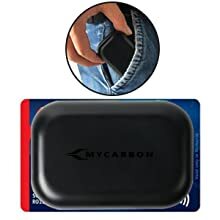 30 Hours Play time with Charging Case: MYCARBON Bluetooth earbuds can last about 3-4 hours music time on a single full charge, portable 1000 mAh charging box provides quick charge and 8-10 times full charges. 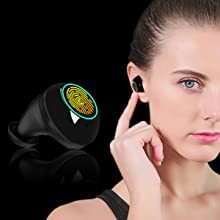 Besides, with magnetic design, once you place those earphones back to charging case, no worry of dropping, avoid charging problems. 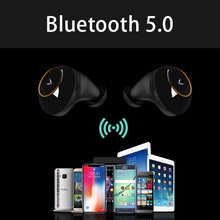 Newest Bluetooth 5.0 & Better Stability: Compared to other Bluetooth headphones with Bluetooth 4.1 or 4.2， Our true wireless earbuds adopt the newest Bluetooth 5.0 technology, which ensures the connection is more stable and quickly. Operation Range up to 10 Meters/33 ft. 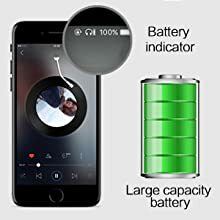 Compatible with all Bluetooth device. 12-month warranty, lifetime support and friendly customer service. - Click "X10" in your device, then enjoy your music time! Operation Range up to 10 Meters/33 ft.
6 charging contacts, improving stability of charging. Once connecting is successful, the earbuds' battery icon will appear at the top of the phone desktop. You can get the bluetooth power information at any time. This true wireless bluetooth earbuds can last for 3-4 hours music time on a single charge. MYCARBON earphones has passed IPX7 waterproof certification, allows you to handle much more tough training or songs in the rain. Perfect for running, jogging, hiking, yoga, exercises, gym, fitness, travelling and etc. 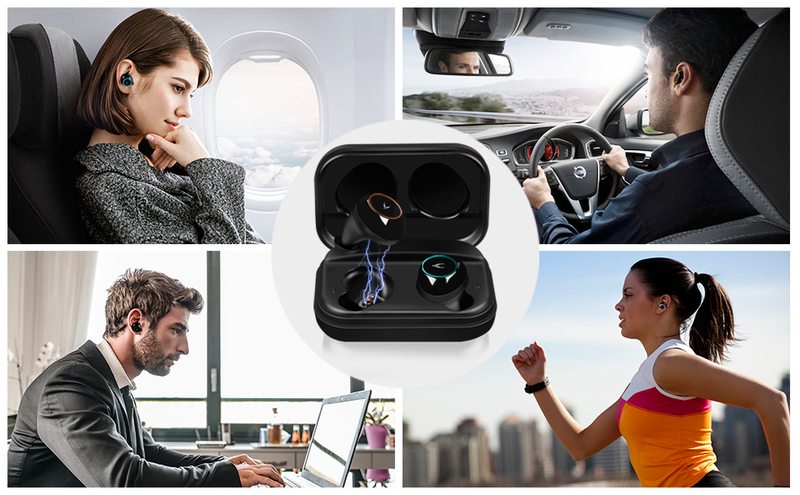 MYCARBON X10 earphones support multiple modes, recommend the sharing mode for family interaction. No wire limit，share with your families or friends to enjoy the music or film to make each other more closer. The portable 1000mAh charging case can provide about 10 times full charge for earbuds. 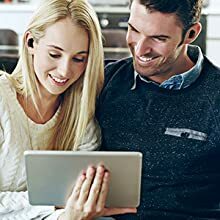 Easy and convenient to recharge the wireless ear buds no matter when and where, go for a day without power shortage thus sufficient music joy all through your day activities.